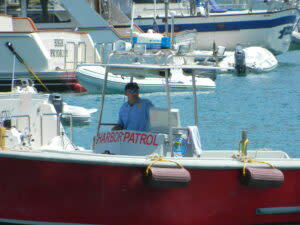 Catalina Island’s picturesque waterfronts are a lot more scenic thanks to the boats bobbing peacefully in the harbors. 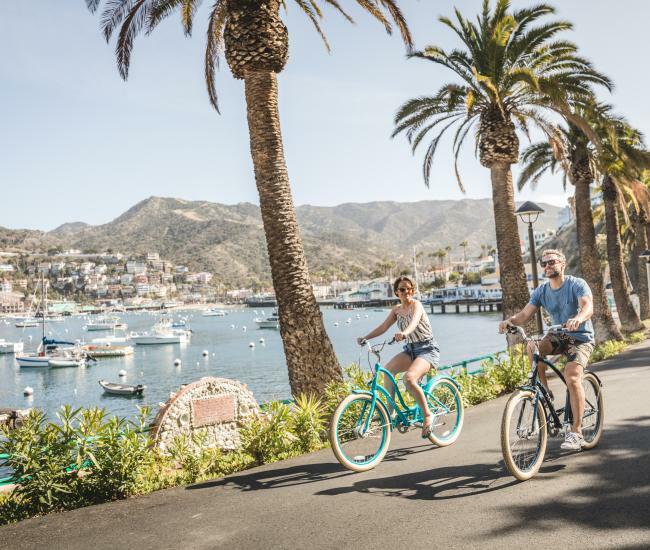 A relatively easy crossing, beautiful coves and Catalina’s many amenities have made this resort island the most popular recreational boating destination in Southern California. 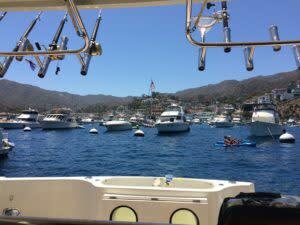 Each year avid boat enthusiasts arrive on Catalina Island via private boat. These vessels range from open cabin runabouts to some of the largest and most luxurious yachts on the planet. Thanks to the position of the island, Catalina offers several protected coves on its leeward side that are calm in all but the most severe weather. On the windward side of the island, Cat Harbor offers safe harbor. Making boating to Catalina Island even more convenient are the moorings – floating metal balls attached to weights on the bottom that make anchoring unnecessary. There are hundreds of moorings in Avalon Harbor and dozens more in Descanso and Hamilton coves, all of which are overseen and managed by the Avalon Harbor Department. At the West End, the other end of the island, Two Harbors and its nearby boating areas offer hundreds more moorings, which are managed by Catalina Island Company. Several coves between the two Catalina boating destinations also offer moorings and protected anchorage areas. 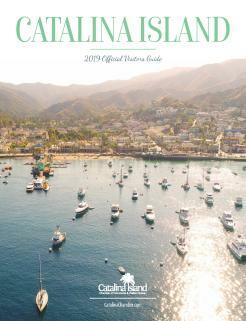 The thousands of recreational boaters who enjoy Catalina Island each year are continuing a tradition that dates back thousands of years. Native islanders, who called the island Pimu, frequently visited the mainland, making the crossing in outrigger-style canoes. Those intrepid seafarers visited the mainland for trade, sharing their culture and commodities with mainland tribes before returning to their island paradise. For thousands of years, the civilization on Pimu flourished, until another seafaring culture arrived. Spanish galleons first arrived on Catalina with Juan Rodriguez Cabrillo in 1542, followed 60 years later by Sebastian Viscaino, who gave it the name Santa Catalina. After the Spanish arrived, Catalina boating was a bit more nefarious – smugglers frequently used the island to avoid taxes and duties. As Catalina emerged as a resort destination in the early 20th century, recreational boating in Southern California was also becoming a popular pastime. Hollywood’s elite discovered the island in the 1920s and their yachts were frequent visitors for decades, including John Wayne’s famous Wild Goose. 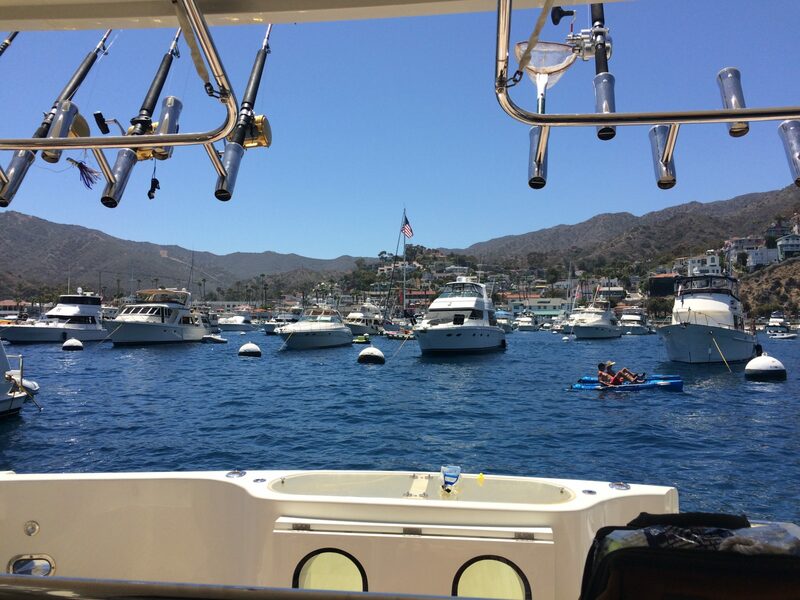 Today celebrity sightings in Catalina harbors are not uncommon, but the overwhelming majority of those visiting Catalina Island by boat are of the less famous variety. Most Catalina boaters are primarily homeported in marinas from Dana Point to Marina del Rey, although long distance cruisers find the island a convenient stopping point. In the fall, boaters preparing for long-distance journeys to exotic ports often spend time on the island for a final shakedown cruise before setting out for distant horizons. Getting to Catalina Island from the mainland by boat takes anywhere from less than an hour to nearly a day, depending on the boat and the departure port. 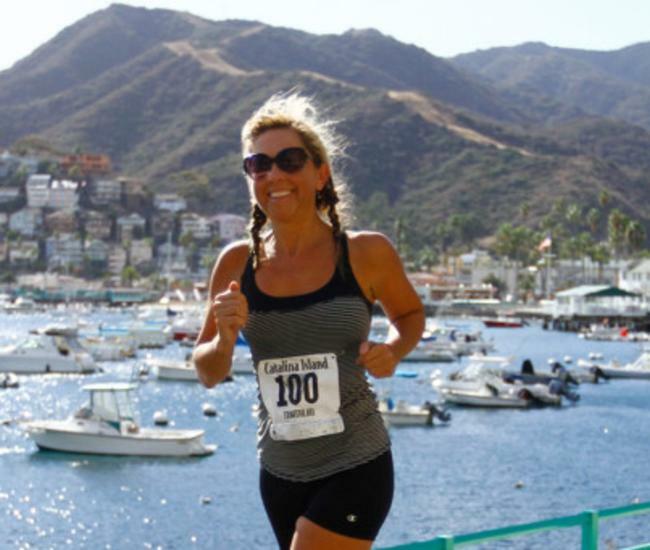 High performance boats can zip across the 20-odd miles to the island in less than an hour – in fact the Catalina Ski Race, held each August, regularly clocks round trips from Long Beach of less than an hour. Sailboats struggling against the wind typically have a longer time of it, often leaving just before dawn in the hopes of making it to Avalon in time for cocktail hour. No matter what type of vessel is crossing the channel, mariners should always remember no matter how close the island looks, crossing the channel is open water. Cell phone service mid channel is often nonexistent, so a marine radio is a necessity, as is an understanding of the unpredictability of the open ocean. 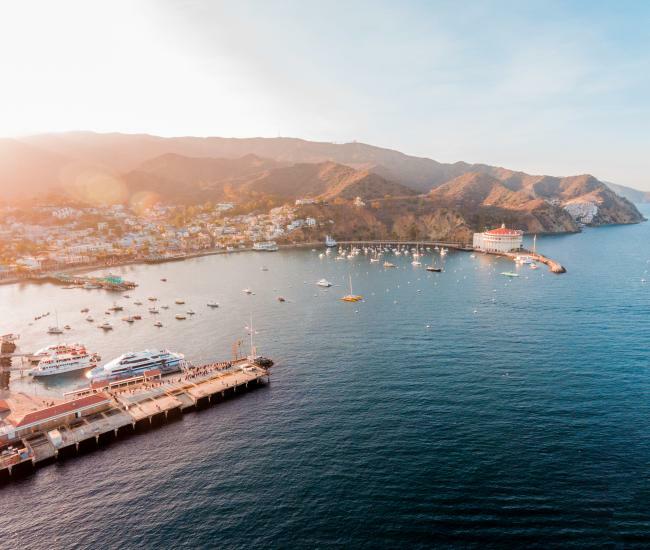 Catalina Island will always be an irresistible allure for boaters, calling mariners with the siren song of adventure, relaxation and the soothing sounds of the sea.